The morning following my first night in Eau Claire, Wisconsin, a young man drowned in the river behind our home. I was out for an early morning jog when I noticed a police car pulled to the side of the road running parallel to the river. I rerouted and peered down the ravine, where I spotted a rescue team gearing up to retrieve a body that wouldn’t be found for days. In the time between, my dog and I regularly walked the riverbanks, scanning the water for clues. But there were no clues to be found. What had happened had simply happened, and though I naively wondered, How could this happen here? the better question was How could it not? It didn’t take long for me to learn that drownings were common in river towns like ours, and that the probability of drowning increased when water and people were placed in close proximity. It was nothing personal, just a side effect of geography. Several additional drownings occurred within weeks of my arrival, and while I, of course, took them personally (What the hell is going on here? ), after that first summer the drownings became as natural as the seasons. However, since I never knew any of the victims, I never knew how I was supposed to grieve. What I did know—or rather, what I still know today—is that the tradition continues year after year: the ice thaws, the water rises, and inevitably, people drown. Everyone in town has a story to tell, but all the stories run short. What more can one ever say but Once upon a time a life was lost to the river. Then, we just say it again. Throughout the late 1800s and early 1900s, Eau Claire’s local newspapers had plenty to say about drownings. Not only did the reports cover the five W’s—who, what, when, where, and why—but on occasion, they delved into the more speculative: What was the victim thinking? Upon researching dozens of historical drowning reports, I was taken aback by the boldness of the newspaper’s claims: the speed with which a drowning was deemed a suicide, the alacrity in which victims were to blame. Those who drowned were often said to be of unsound mind, or unstable mind, or mindless altogether. After awhile, the articles began to read as if reporters were justifying the rivers’ actions, pinning the blame on the victims. The rivers weren’t the problem—we were the problem—and for our folly, we would pay with our lives. Of course, we are the problem, or at least a part of it—continually toeing the water’s edge like a tease. But the river, too, plays a role: so achingly beautiful that we can’t help but give ourselves to it. I was also inspired by Michael Lesy’s cult-classic Wisconsin Death Trip—a book featuring an assemblage of bizarre late 19th-early-20th century news reports from Black River Falls, Wisconsin. Lesy pairs the reports alongside Charles Van Schaick’s black and white photographs from the era, creating a reading experience so indescribable that I will not do the book the injustice of trying to do so here. While Wisconsin Death Trip served as a model, my work diverges in several ways. First, I’ve substituted Black River Falls for my own town of Eau Claire, Wisconsin. Second, rather than collect news reports on a wide range of tragedies, I’ve honed in on historical drownings ebbing on both sides of the turn of the 20th century. In a final twist, I do not claim every dispatch to be true. In fact, I claim the opposite, and to this end, have fabricated 25 of the total 100 reports. I make no distinctions between them. Instead, I reassemble a past in which I played no part, and while there are undoubtedly ethical questions in doing so, every nonfiction writer—whether he admits it or not—continually selects slivers from a larger story. What choice do writers have but to buoy some details while submerging the rest? And what choice do readers have but to reach for the flotsam and jettison and hold on tight? In Lewis Carroll’s Alice’s Adventures in Wonderland, Alice famously asked, "What good is a book without pictures or conversation?" There is no climax, no dénouement, just characters who are there for a moment before vanishing. Now I've done it—I've called them characters—when in fact, most of them were once people as alive as you and me. But we forget that—or I forget that—when so much time has passed. How quickly people become a newspaper clipping in a scrapbook. How quickly they become a cautionary tale and nothing more. Ultimately it’s the photos that remind me that these people once lived, even though the photos do not depict the victims themselves. Yet, there are enough congruences between era, geography and physical description that allow my eyes to override logic, forcing me to remember that once these people breathed. (At least most of them). 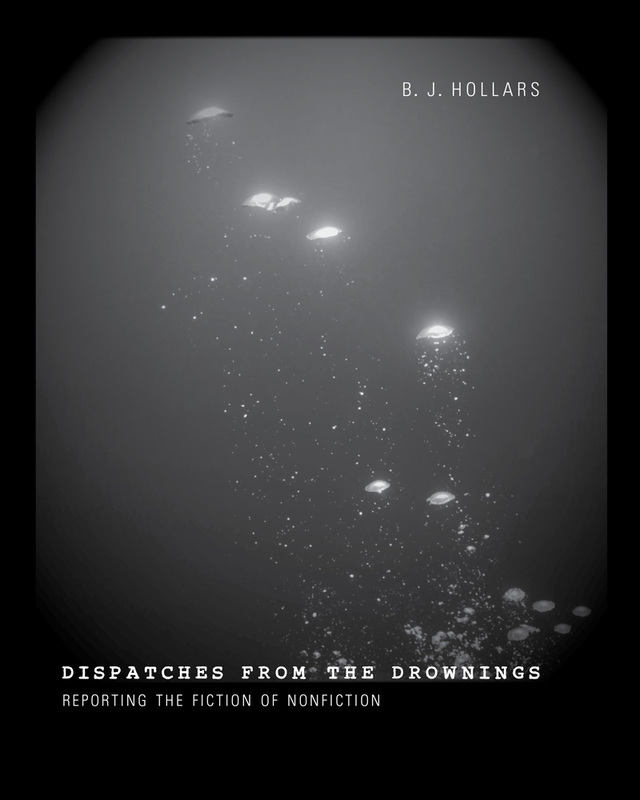 Months after the book went to press, I stumbled upon a photograph depicting one of the actual drowning victims. No more games, no more tricks—suddenly the man had turned real. His name was Saul Brackett, one of many lumbermen to perish in the Chippewa River on July 7, 1905. As I recount in the book—and as the local paper recounted before me—an oversized bateau capsized in the river that day, placing the men on board at the mercy of the river. The river was not merciful, and Saul Brackett drowned alongside 10 of his compatriots. All I’d previously known of him I’d learned from the newspaper reports: that he was a high school football star with aspirations of one day attending college. Further down, the article notes Brackett’s previous occupation—paperboy for the newspaper that would one day report his death. Not only that, but his route took him within a block of the future library where I would later stumble upon his picture. Suddenly it was easy to believe in a man who I could confirm once walked the streets I walk. It was easy to believe that breath had once ballooned his lungs rather than just water. At last there was a true face on a true tragedy and that face was staring right at me. My project was no longer some hypothetical, ivory tower debate on the limits of truth. After all, Saul Brackett was dead. And then, 106 years later I would go for a jog and another young man would die. And while many of the facts were lost as well, I swear to you, the grief I now feel is real. B.J. Hollars is the author of two books of nonfiction--Thirteen Loops: Race, Violence and the Last Lynching in America (the 2012 recipient of the Society of Midland Author’s Award) and Opening the Doors: The Desegregation of the University of Alabama and the Fight for Civil Rights in Tuscaloosa (the 2014 recipient of the Blei/Derleth Nonfiction Award)—as well as a collection of stories, Sightings. 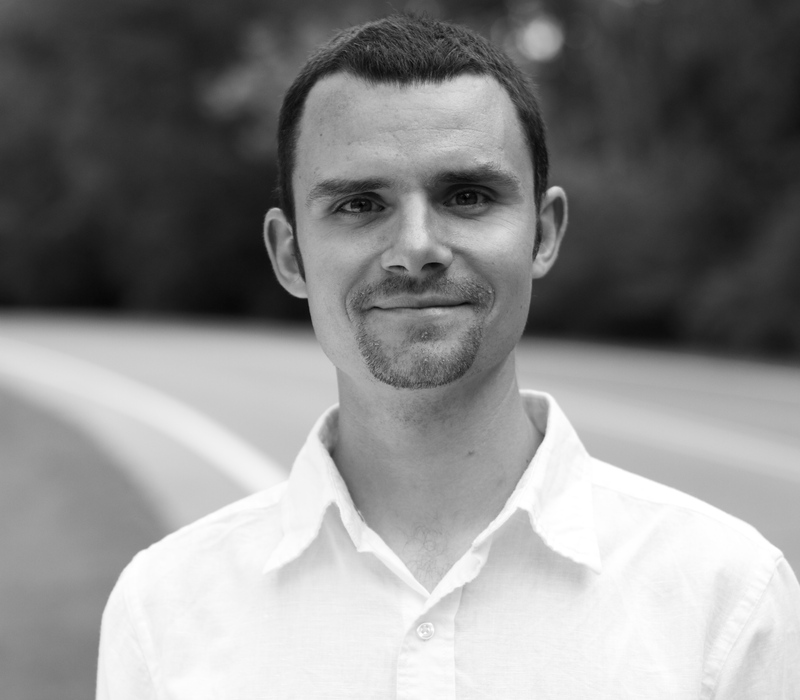 He is an assistant professor of creative writing at the University of Wisconsin-Eau Claire. Benjamin is featured in North American Review's most recent issue 299.3, Summer 2014.